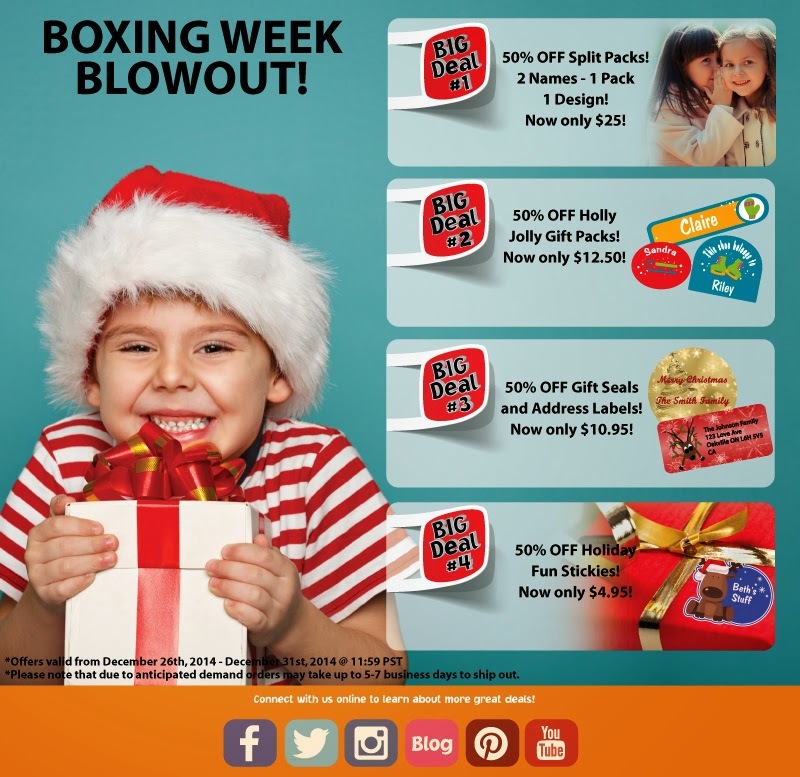 Lovable Labels Boxing Week Blowout! Lovable Labels is having an excellent sale on all of their top products this week. If your going to do any Boxing Week shopping be sure to buy some of these awesome labels. and come in many varieties! I have been using these labels for almost two years now and some of the labels I put on back then are still on our items and look brand new. I was very thankful I had my labels when school came to a close this holiday season. As all the kids were getting geared up for the holidays the staff had placed all of the lost and found items in the hall for kids to claim and it was shocking to see the hundreds of dollars in clothing, shoes, and lunch accessories that were unclaimed by children. My sons items are clearly labelled so we will be able to claim anything that happens to go missing. So join me in the battle against lost children's belongings and buy some personalized labels this Boxing Week! As a bonus the first 100 customers to spend $50 will receive $10 off of their order. Just use code WEBCRASH14 at checkout. Sale tuns from Dec. 26-31 so hurry and head over to http://www.lovablelabels.ca/!